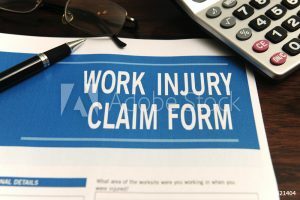 Workers’ Compensation claims can be very complex and have a huge impact on a business. Whether a company is large or small, state funded or self insured, having an attorney that can not only provide leadership and direction but also make legal arguments in your defense can be a vital asset and could possibly determine whether you win or lose your case. Our Workers’ Compensation and Employment law team at Pickrel, Schaeffer and Ebeling has over 30 years of experience in the intricacies of Workers’ Compensation practice throughout Administrative hearings, appeals, mandamus actions, hearings, trials and ultimate settlement. Our team takes a proactive approach, we want to avoid future claims and law suits. We will work with you and your team to develop preventative services that will help you stay compliant. We will come to your business and evaluate your workplace practices and procedures. We will help you from drafting employee handbooks to training employees and supervisors on sexual harassment and occupational health and safety issues.